This is the legacy site of Birmingham and Halesowen Shotokan Karate Club which contains all the content up until the death of our club founder and first Chief Instructor the late Shihan Cyril Cummins 8th Dan. 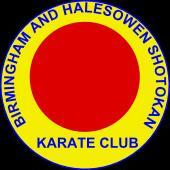 For current BHSKC information please see the current site at birminghamshotokan.com. 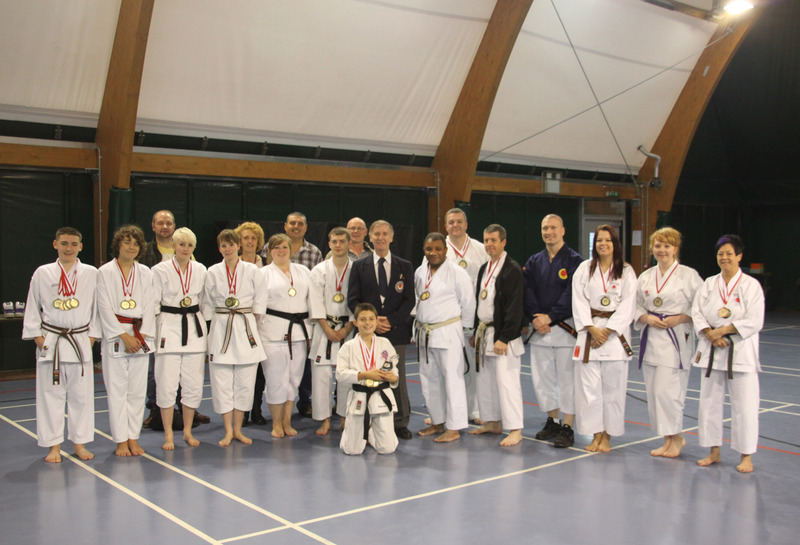 Whether you are interested in karate as a martial art, competitions, a means of keeping fit or building self confidence, Birmingham and Halesowen Shotokan Karate Club can provide an environment or you to meet your goals. Classes are available six days of the week at various locations in the Birmingham and Halesowen area so that you can find classes at times and locations that are convenient for you. As one of the longest running and most successful clubs in the country we have a long history of teaching traditional Shotokan karate by providing a friendly and fun environment for people of all ages. The club is run by Sensei Cyril Cummins 8th Dan who personally takes most classes providing a high quality of instruction from an senior instructor with over 50 years of training experience. The club also has experienced assistant instructors who aid Sensei Cummins in providing the best possible tuition for students of all ages. Sensei Cummins has appeared on the covers of “Shotokan Magazine”, “Combat” and “Traditional Karate” and is a “Combat” Hall of Fame Inductee. He has also featured several times in the press, media and TV appearing on popular shows including The Alan Titchmarsh Show. Sensei Cummins is known throughout the world as “The Trainer of Champions” having trained countless regional, national and international champions every year throughout the last three decades. Sensei Cummins has the legacy of being graded by the top legendary Japan Karate Association (JKA) instructors and has personally trained at the JKA Honbu in Japan. He is one of a select group of instructors outside of Japan who are registered as JKA Kodansha. He has trained with a vast number of the world’s top Sensei from Europe and Japan and been taught by some of the great Shotokan masters of the JKA including the late Sensei Keinosuke Enoeda 9th Dan and is now world renowned in his own right. Birmingham & Halesowen Shotokan Karate Club is affiliated to NAKMAS National Governing Body (The National Association of Karate and Martial Arts Schools). NAKMAS provides insurance for every student and instructor. All instructors and assistant instructors are enhanced CRB checked before being issued with an instructors license. To learn more about NAKMAS please click on the NAKMAS logo.